No other name could possibly describe this exquisitely beautiful bouquet. 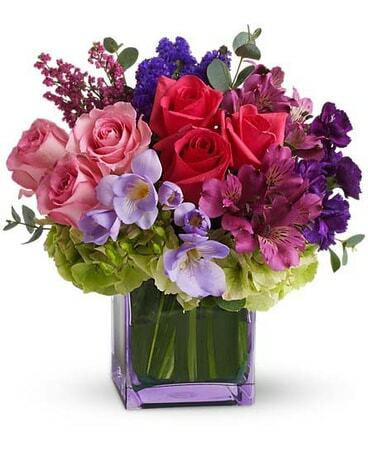 Its brilliant blossoms are gorgeously arranged and delivered in an exclusive clear vase. Let her know how special she is to you by sending this fabulous gift. 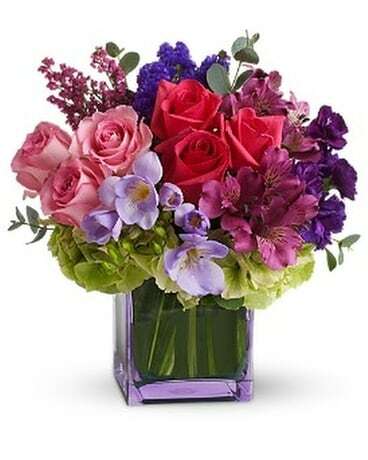 Dazzling green hydrangea, hot pink and light pink roses, purple alstroemeria, mini carnations and statice, lavender freesia, pink heather and eucalyptus arrive in a cube. Exquisitely exciting!